Stepping is a dance performance that combines African traditions with popular culture. It involves synchronized percussive movement, singing, speaking, and chanting. 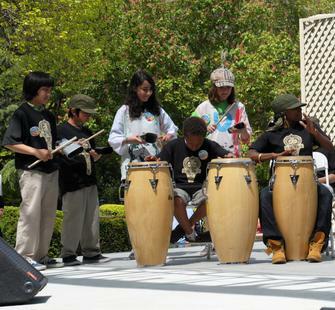 Students learn simple polyrhythmic stepping pieces that include the voice as an instrument, as well as traditional African percussion instruments and drums.